The Augustow Canal - a unique monument in Europe which is a perfect example of symbiosis of a technical object and nature. It was constructed in order to link the Vistula with the Neman and the Latvian Baltic Sea Coast in order to avoid paying duty for Prussia. 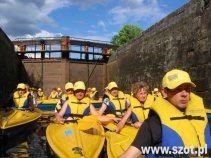 The canal’s length is over 103 km, where 80 km is on Poland’s territory - 77.5 km is fully floatable. 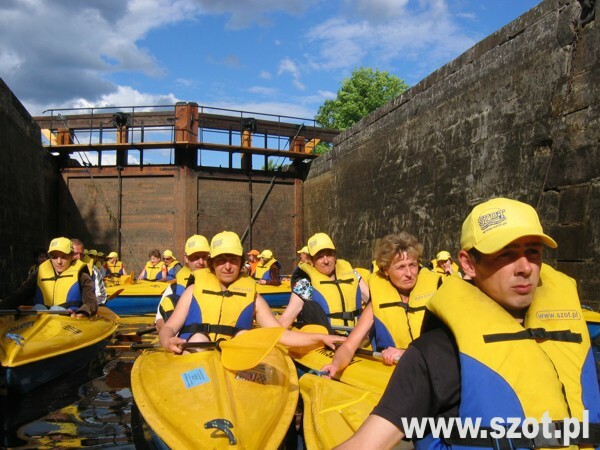 9 of 14 locks located on Polish territory remain very close to the original technical shape. The Canal is historically valuable due to its preservation, in spite of constant exploitation in the form of invariable waterline, way of water supply, location and fundamental structure of dams (locks and sluices). It is still possible to admire the job of lock operators who uplift penstocks with hand levers, then open gaps in lock-gates by which water fills a chamber until its level is equal with the level of higher-situated pond, afterwards they gape weighty wooden gaps by pushing long shafts with their arms. The procedure is nearly one and a half century old. Since 1968 it was declared a monument of technology Class. The Canal is a unique object not only because of purely historical aspects, but also it perfectly fulfils tourist and recreational functions. It is because it combines territories of a charming landscape, overgrown with ripe forest stand of the Augustow Primeval Forest. It belongs to the longest artificial waterways in our country. Each summer Wednesday – a reservation in advance is necessary (min. 10 days before). In case of organized groups- kayaking trip is possible at any time. Car park for kayakres' convenience - free of charge. It is possible to arrive earlier or extend the stay with accommodation in Villa Skomanda guest house at the SZOT Base. Required booking in advance. you should take with you: a beverage and food, sun-hat, light hiking shoes, fingerless gloves (e.g. cycling gloves), raincoat, change of clothes and of course GOOD MOOD!